Ever wanted to donate to charity or give back to your community but felt that your gift was too small to make a difference? 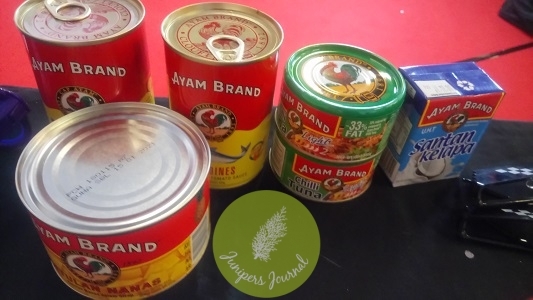 Now Ayam Brand™, the 126-year old Malaysian favourite known for its wide range of quality canned food is making it easier for you to do just that with the launch of the Ayam Brand e-Charity site https://www.ayambrand.com.my/e-charity.html. Yes, now everyone can donate to charity at the click of a few buttons. Ayam Brand™ is offering the products at 15% off the retail selling price and providing free delivery to encourage the public to help 8 selected Non-Government Organisations (NGOs) in Kuala Lumpur and Selangor. All the NGOs are registered with the Department of Social Welfare Malaysia and the Registrar of Societies. The site is live and the public can choose how much of the brand’s products they wish to contribute to recipient organisations. The minimum contribution is one carton. 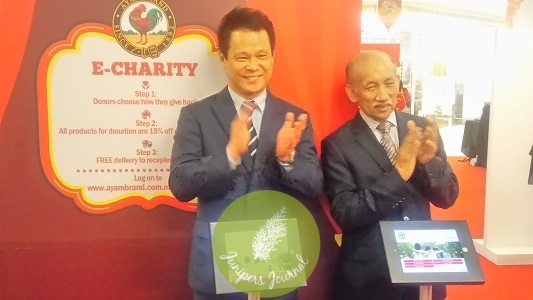 The Ayam Brand™ e-Charity was launched at the finale of the Healthy Kids Food Festival, part of Ayam Brand’s 11th consecutive CSR, held at Sunway Putra Mall this afternoon. Cumulatively the brand has contributed 1,404,000 healthy meals for charity, benefitting approximately 20,000 people from 482 charity organisations with 358,920 meals distributed this year. 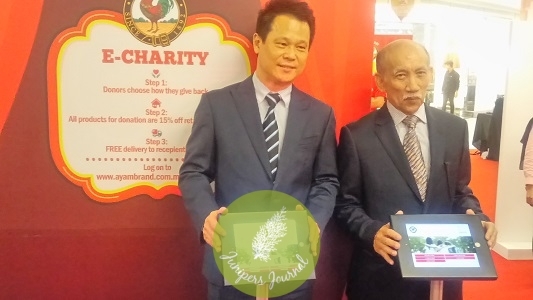 According to Ayam Brand’s™ Chairman, Yang Mulia Tunku Dato’ Mu’tamir Bin Tunku Tan Sri Mohamed, everyone should have easy access to charitable giving and e-platforms such as the Ayam Brand™ e-Charity site to make it easier to contribute. The Ayam Brand™ Healthy Kids Food Festival aims to empower children to make food choices through engaging and interactive activities that help them identify the main food groups, understand portion size and make informed food choices on how food can positively shape their bodies. Ayam Brand™ contributes its products to participating charity homes as part of this annual event. Yayasan Sunbeams Home, Pusat Jagaan Kanak-Kanak Harapan, Rumah Impian PJ, Rumah Ozanam, Rumah Sayangan, Home of Peace, Rumah Bakti Nur Syaheera and Rumah Kasih Harmoni from Kuala Lumpur and Selangor received two months’ supply of Ayam Brand products including sardines, tuna, mackerel and coconut milk sufficient for two months’ daily meals.